Summary: Summarizes the rise of strategy consulting as a discipline starting with Bruce Henderson founding the Boston Consulting Group and then popularizing the use of data for comparative analysis to guide strategy. Key development was the experience curve which showed the generally the longer the a firm was doing something (producing a widget), the lower their costs. The experience curve was complemented by the growth/share matrix that showed that generally the higher the market share, the lower your costs. 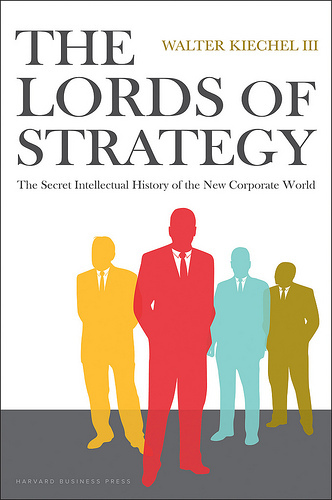 Is the job of a strategy consultant to deliver competitive advantage, plain and simple? How do we select clients?